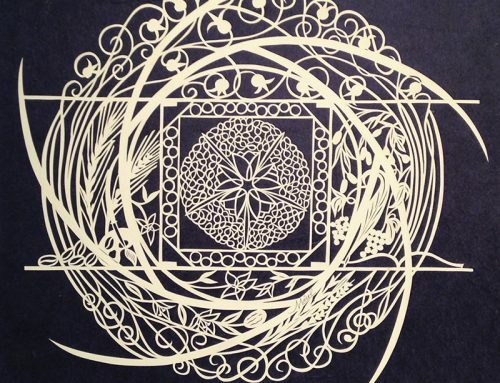 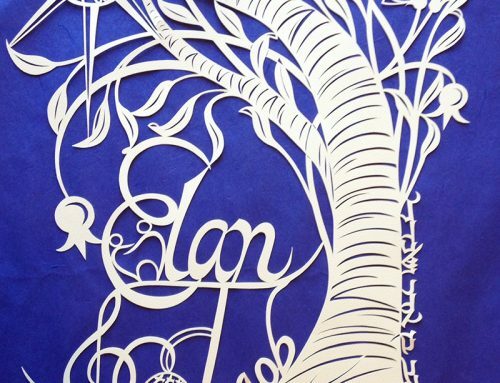 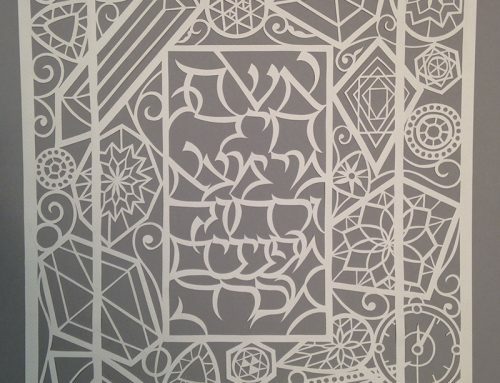 This hand-painted papercut was designed as a family tree to represent the family’s values. 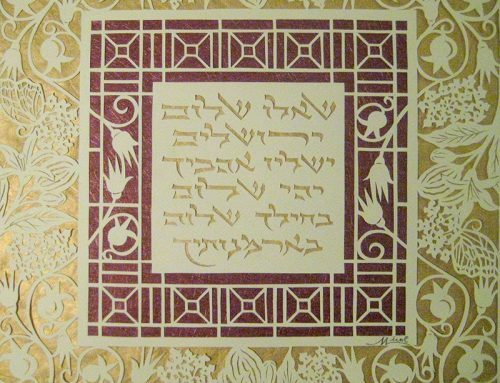 Integrated in the design of the branches is the quote: Da maayin bata v’lean ata holech ~know where you came from and to where you are going (Pirkei Avot). 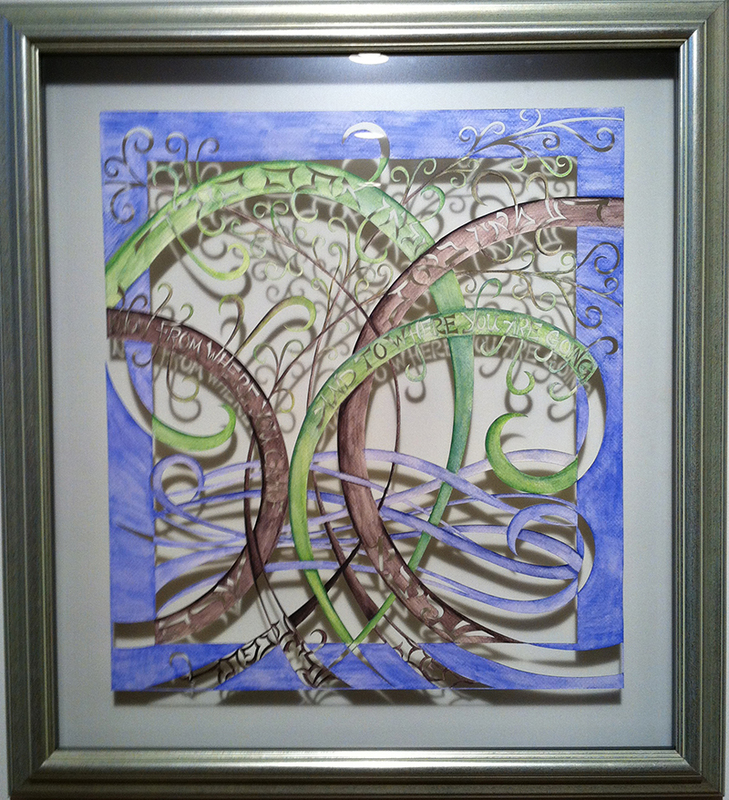 The family wanted to highlights their roots as well as their hopes for their children’s future.